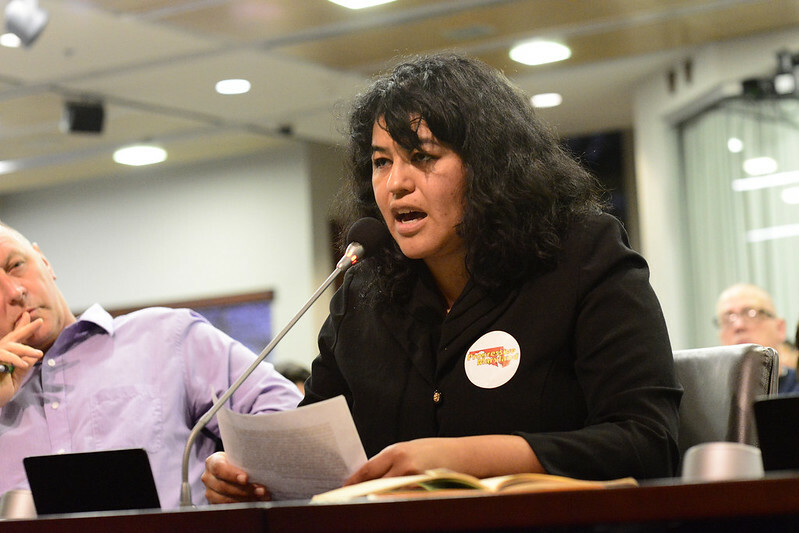 Advocates for a proposal to increase Montgomery County's minimum wage to $15 an hour -- the Fight for Fifteen -- urged the Council to include increases for tipped workers, among the county's most exploited and poorly paid. 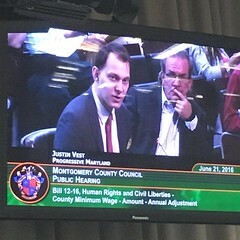 /By Justin Vest/ Despite torrential rains and Metro flooding, the Tuesday (June 21) Montgomery County Council hearing was packed as the Council heard public comment on Councilmember Marc Elrich's proposal to raise the County minimum wage to $15. Advocates and, more importantly, workers spoke about the impact a $15 minimum wage would have on them, their families, and communities. As expected, the business community was out in force with area chambers of commerce and industry groups dragging out the usual doomsday rhetoric that gets pulled out anytime a workers' issue is on the table. More than half of the 40 speakers urged the Council to support the bill with many going further to ask for an amendment to include tipped workers – who currently make as little at $4/hour and are not included in the current legislation. 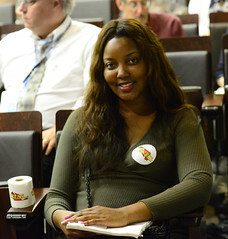 Leading up to the hearing, Progressive Maryland organizers spoke to dozens of workers throughout Montgomery County and heard many of the same stories from tipped workers–they never know how much money they’ll earn in a week and rarely is their pay reflective of the level of service they provide. Tips simply aren't a reliable source of income. According to the Restaurant Opportunity Center, 70% of tipped workers in Montgomery County are people of color, nearly 60% are women, and a third are parents. This two-tiered wage system only serves to widen the gender and racial pay gap, making it harder for Montgomery County’s most vulnerable workers to provide for their families and achieve a decent standard of living. Workers detailed their experience with wage theft, working multiple jobs and still struggling to make ends meet, and being unable to provide for family. Opponents argued the raise would hurt business and in turn their workers, despite a complete lack of evidence. Montgomery County is one of America's most expensive regions, with an area median income of $109,000. A full-time minimum wage worker only makes $19,864 per year before taxes. Raising the minimum wage puts more money in the pockets of working people. Research consistently shows that low-income workers spend most of their income on everyday goods and services which means more money going to the retail and restaurant industries. Even with a great showing at the hearing, the fight is far from over. The Council remains divided over the issues, particularly in regard to tipped workers. Make your voice heard and urge the County Council to raise the wage for all workers by signing this petition.